The file library lets you quickly search for programs, discs, saved states and 3D templates. You can also download, unzip and load programs into memory or disc drive. 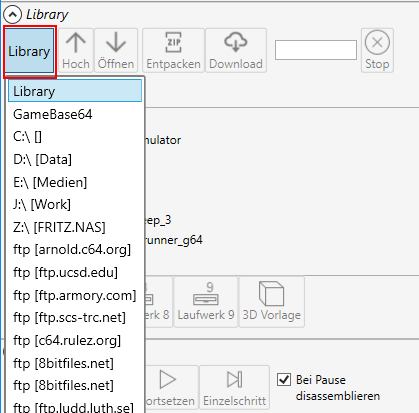 The library also lets you search in various FTP sites and search within the gamebase 64 database. Enter the search text into the text field. The search will start emidiently. Searching over network may be slow, so you can manually stop the search. Clearing the search field will let you return to the folder selection. 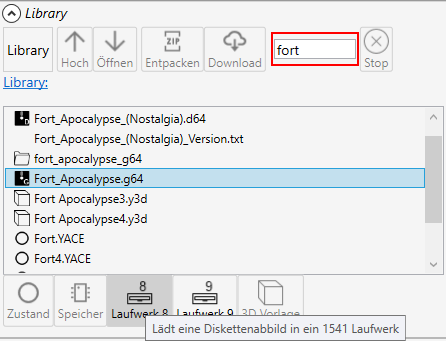 Download the "GB64 v15 Database" and set the connection in the settings dialog. For 64bit Windows 8 and above you need the "Microsoft Access Database Engine 2010 Redistributable" installed. 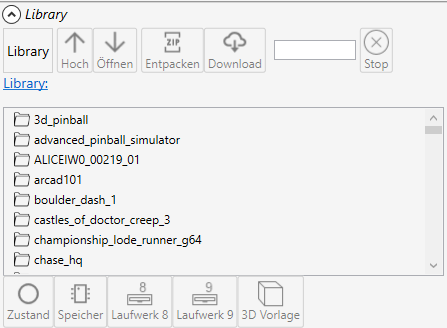 The Gamebase will be displayed in a virtual folder, so each folder is a criteria, e.g. 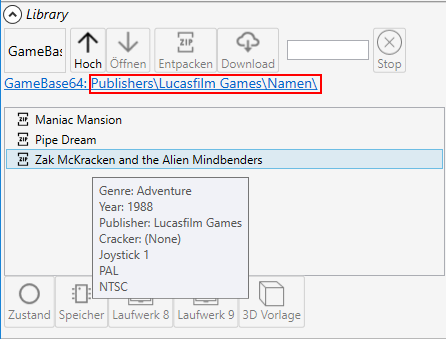 you can first select a "Publishers", then a "Genre" you'll get a list of all programs that match these two criteria.